Today's feature is a great idea for your outdoor parties as this summer comes to a close. What a great way to put out the silverware at your Labor Day picnic! 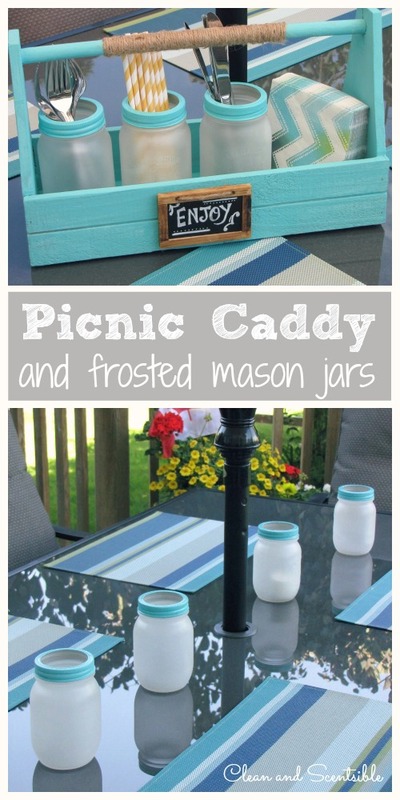 Grab some mason jars and make this great frosted mason jar picnic caddy today. Clean and Scentsible will show you how to make your own.